Grassroots Local Market, a full-service grocery store, has opened on downtown Lynchburg’s Main Street. The market is open from 8 a.m. to 8 p.m. seven days a week. 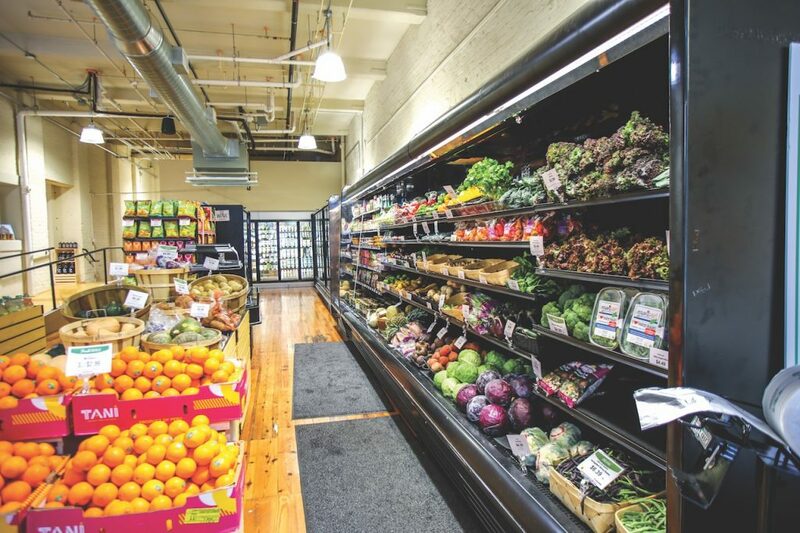 It stocks fresh produce and pantry items as well as ready-to-eat deli options like sandwiches and coffee. Grassroots is a co-op owned and directed by community members who have bought a $200 share in the company, but anyone can shop at the market. Lynchburg’s downtown is one of Virginia’s worst food deserts according to a 2014 study by Virginia Tech. Kate Jenkins, Grassroots’ outreach coordinator, met a boy outside the market who had never eaten a fresh strawberry. Ashley Kershner is executive director of the Downtown Lynchburg Associationand a member of Grassroots’ Board of Directors. She said residents and workers in downtown Lynchburg can all use a grocery store. Jenkins said the market wants to join National Co+op Grocersonce it reaches the required $2 million annual sales. Membership will lower prices at Grassroots. In the meantime, inventory will continue to grow at Grassroots as “More to Come” signs are replaced with meat, cheese, flour and more. Kershner encouraged those who live outside of downtown Lynchburg to stop by the market.